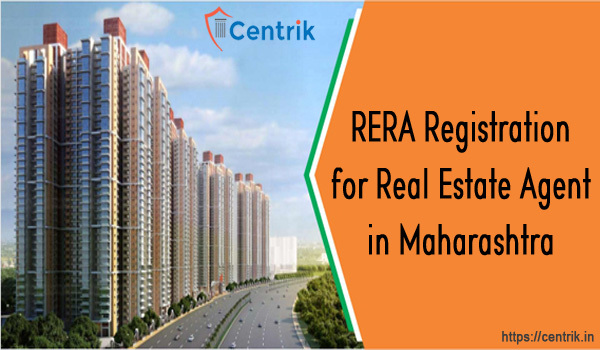 As per section 9 of “Real Estate (Regulation & Development) Act, 2016 (REDA) read with Rule 11 of above mentioned Rules, Every real estate agent need to take prior registration with RERA authority of Maharashtra before dealing in any transactions relating to sale/purchase, advertising or brokerage of property of a project registered under this Act. Such real Estate Agent as required to register shall make an application in writing to the Authority in Form ‘G’, in triplicate, before the RERA authority of that State. 100,000/- in case of the applicant other than an individual. Income tax returns for last 3 financial years preceding the application or in case the applicant was exempted from filing returns in any of the three year preceding the application, a declaration to such effect. Quitr informative. Attaching the form to be filled up for registration as real estate consultant, with this, would have been a better idea..
As per the provisions of RERA Act, 2016 a co-operative society registered under any law relating to co-operative societies can become Real Estate agent. However, there are no provisions about NGO, Trust and Festival Mandal’s. For more clarification please contact at 9717790021. What if am starting my new business as a real estate agent, hence before I was working for a real estate company now want to start my own, I don’t have return file of 3 years and I ll manage my business from my home, can I register as a real estate agent in rear. Pls reply. Yes, you can register yourself as a RERA agent and for that, you have to file an application before the RERA Authority of the State.Also refer the RERA rules of the state before proceeding further. For more clarification, you can contact at 9717790021. But if my Brokerage cheque comes in company name e.g. ABCD Realtors. Is there any problem in it. so what decleration i shude give ?? ?